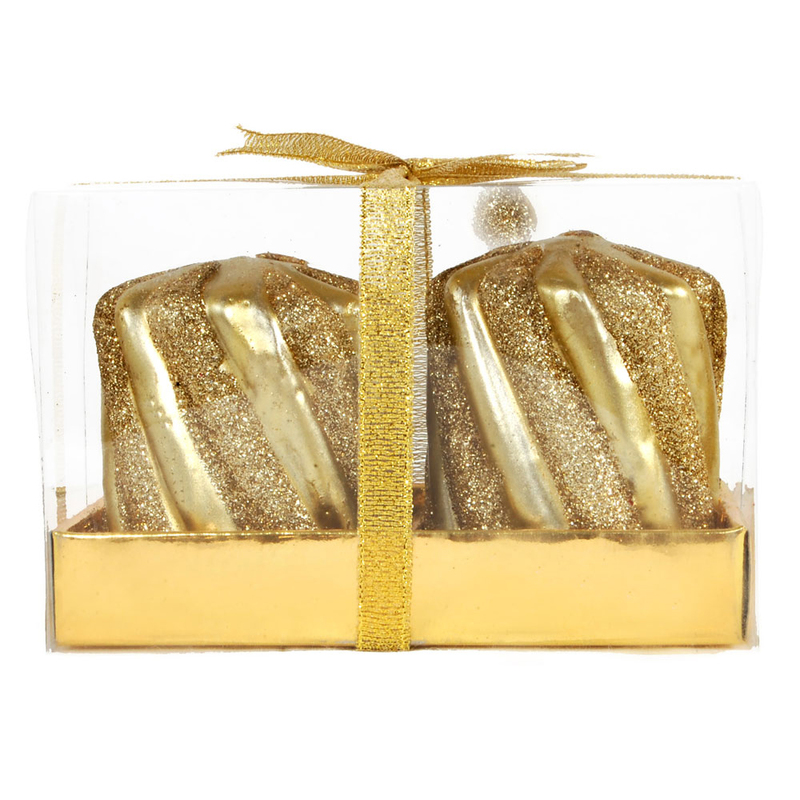 The Cube Shaped Golden Decorative Candle Pair consists of two cube shaped candles in an extremely attractive packaging to make for the ultimate gift item. Read More..The geometric shape of the candle pair along with sharp edges works well with the dazzling shade and the elegant patterns present on their body. The color scheme of the packaging is in harmony with that of the candles, with a fancy ribbon adding to the overall appeal of the package. Therefore, this item can be the perfect choice as a dazzling gift on an occasion like Diwali. Show Less..